Hi! I'm Vanessa! 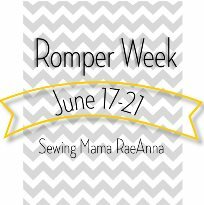 I run this little bloggy blog and I'm SO excited if you are new here for ROMPER WEEK!!! Woot Woot! If you are new, you may also see me around at The Sewing Rabbit, where I am a monthly Creative Team Contributor! I was so happy when RaeAnna asked me! Mrs. RaeAnna Sun is the most sunshine-y person in blogland and I've loved watching her talent grow as she keeps sewing such cute girl things! I'm happy she asked me to be a part of Romper Week 2013! While I don't yet, have a girl of my own (we are about to be foster parents... thanks for prayers! 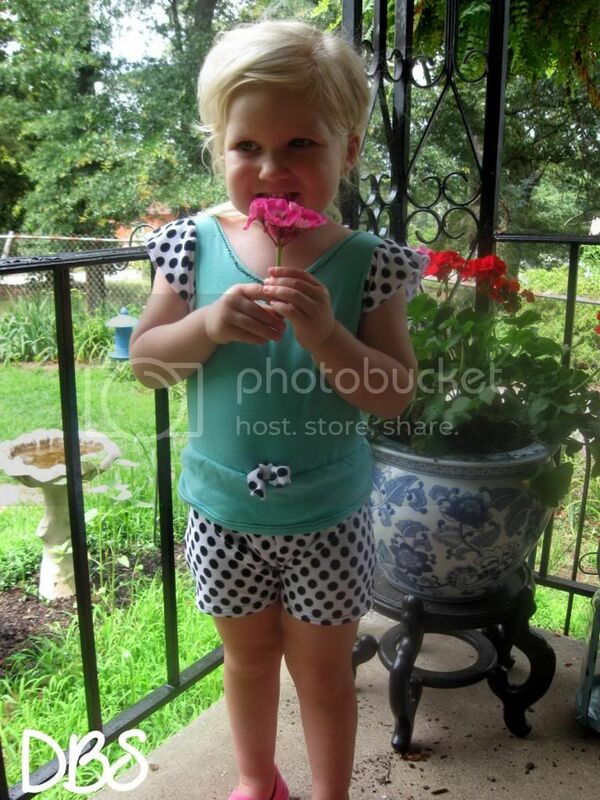 ), I have a cute niece to sew for and I was excited for an excuse to whip something up! And whip up... is exactly what happened just a few hours before I was going to leave town and I realized that I needed a model IN my outfit... then do you know what happened after creating a last minute outfit? I forgot my camera... um... yeah... nice moves, V! 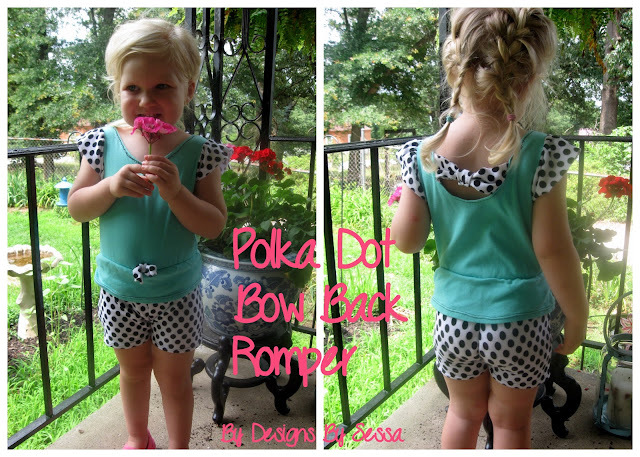 So, my SIL was kind enough to contribute these images of my niece in her retro polka dot bow back romper! I literally had no real "plan" when I started this project...sometimes that's the best... however it's also the worst, because you completely learn what you SHOULD have done next time... am I right?! 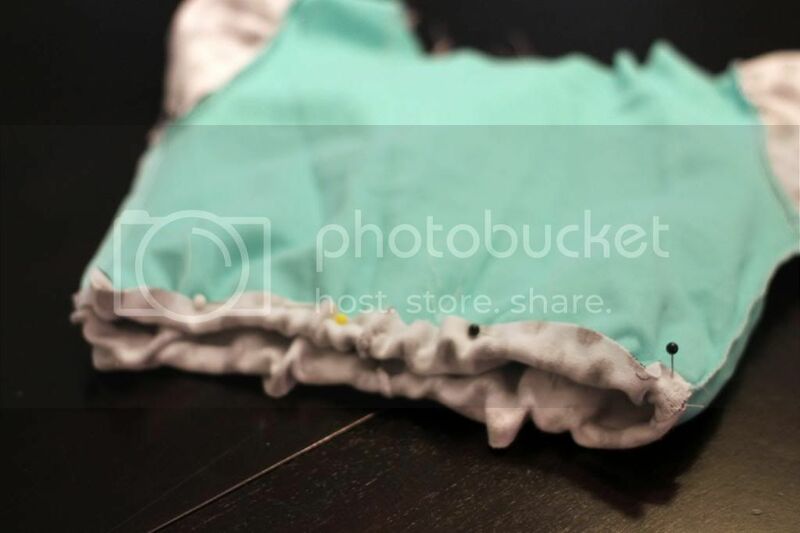 All I know, is that I was getting to sew for a GIRL... ruffles, bow back, slight peplum... check, check check! I started with 2 basic pattern blocks. The Made by Rae Flashback Skinny Tee AND the MADE basic pants pattern. 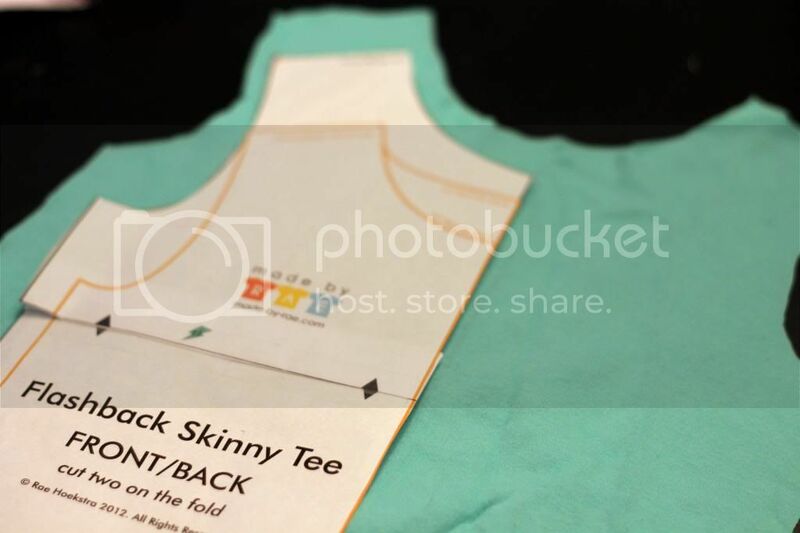 You could also trace t-shirts/shorts to make your own. Trace and cut out your sizes. I would suggest adding some inches to add length. Sew/Serge your shorts at the back seams. Put right sides together and sew/serge crotch and side seams up. 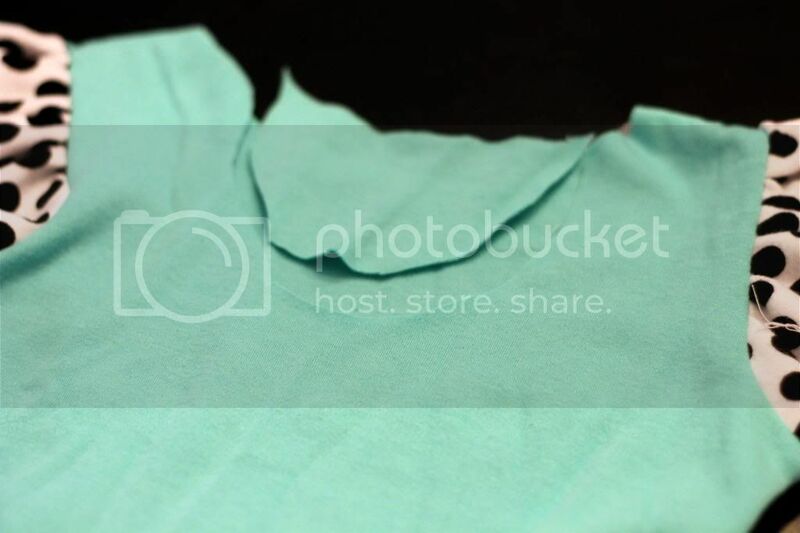 Sew/serge your shoulder seams of your shirt. 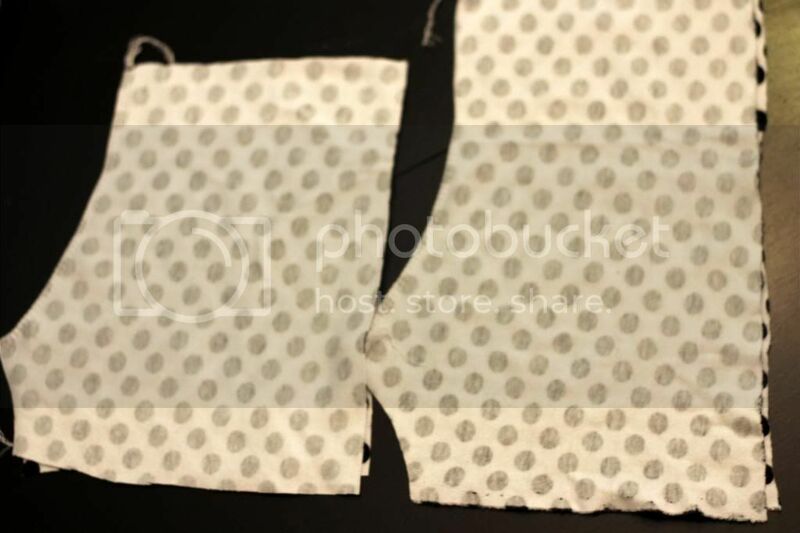 Then, cut 2 strips about 2.5 inches by 10 - 13 inches depending on size. This will become the ruffle for your sleeves. Gather your strips by using a basting stitch and then pull one thread to make the ruffle. Pin to your sleeve and sew/serge to set. Since I was using a rectangular piece, I made sure to let the upper corners hang off my fabric and I then cut that off later. Just line up the bottom corners with the armpit. Sew up the side seams of your shirt. Next, grab some 1/4'' elastic. Marking 4'' from the bottom of the shirt, I drew a straight line, front/back across the shirt. I then sewed the end of my elastic to one side seam and stretched and pulled my elastic as I sewed with a zig zag stitch as tightly as I could. 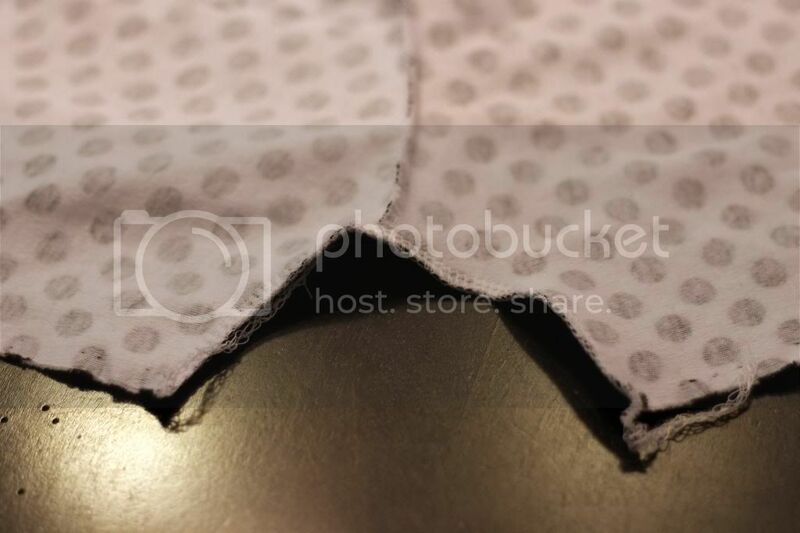 Don't worry if it isn't perfect, you won't see this part of the stitching at all! Now, tuck your shorts inside your shirt. The right side of the shorts to the right side of the shirt, like so. 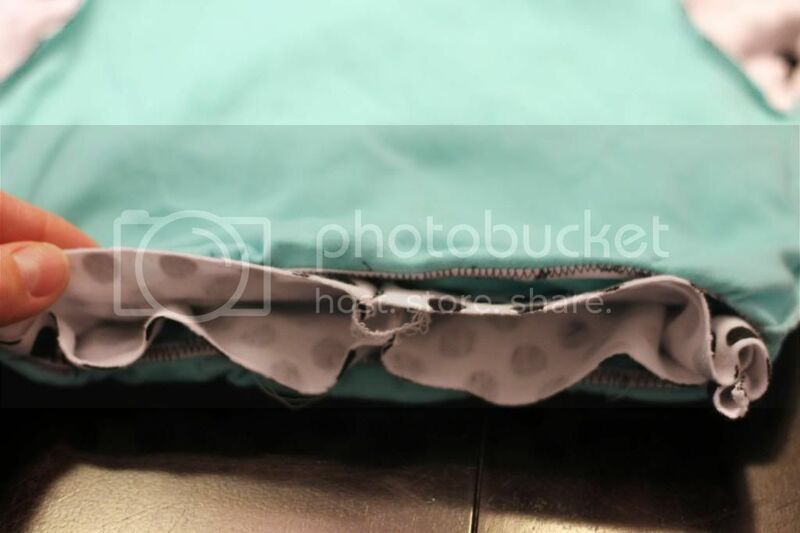 The shirt is folded at the elastic, so that you are matching the raw edge of the shorts to the folded elastic edge. The bottom of the shirt will be wrong side to the right sides of the shorts. This is what we want to happen! 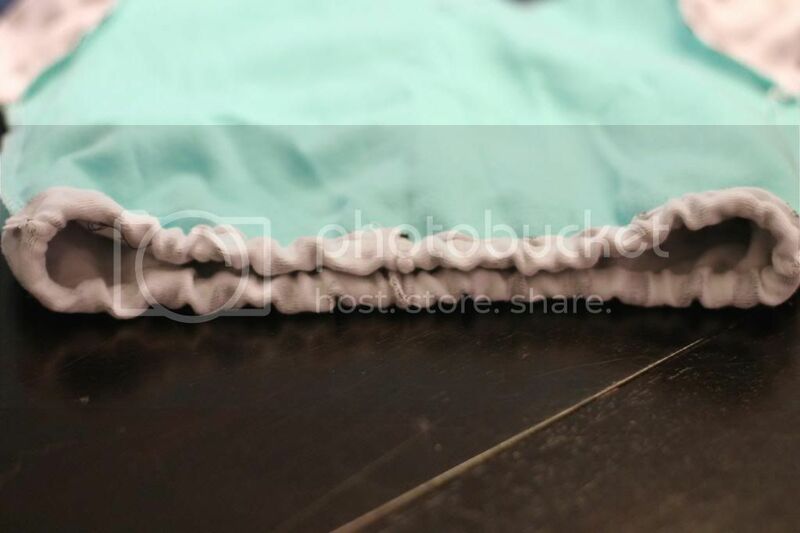 Now, take your shorts fabric and fold it up and over the elastic edge. 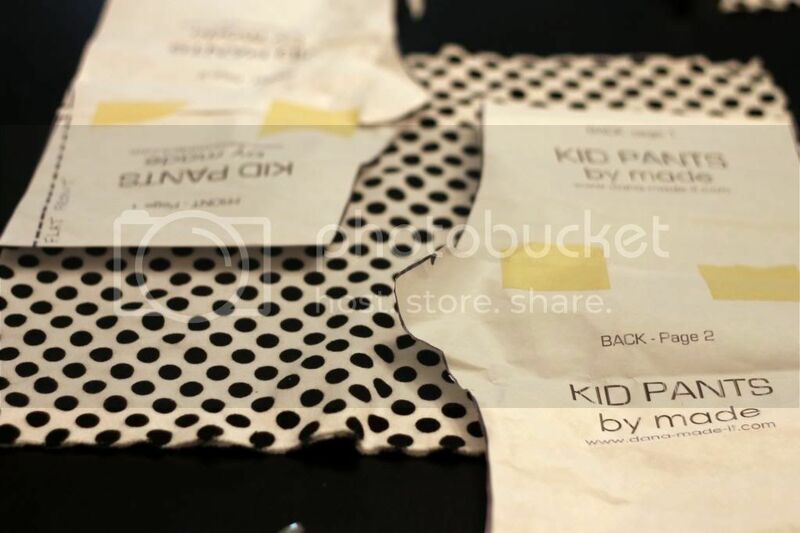 I've never met a kid that likes elastic on their skin, so this will encase it and make it comfy! 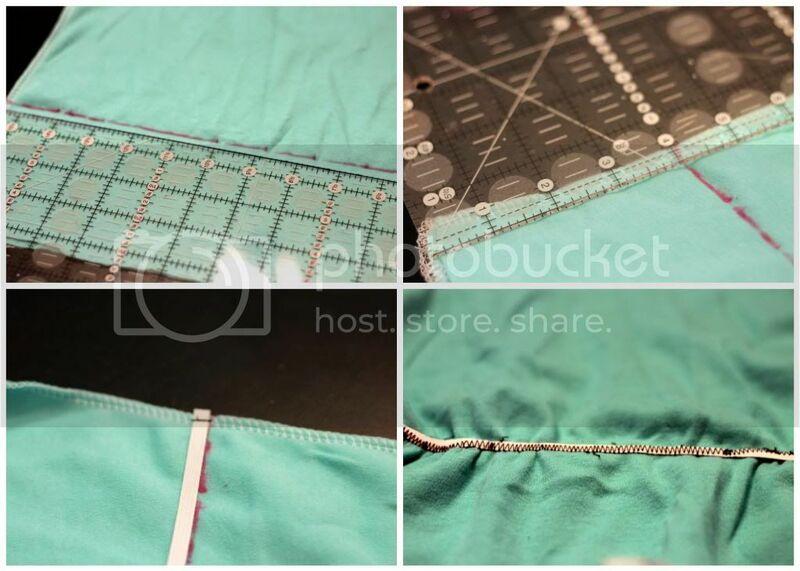 Sew down using a longer stitch length! An encased elastic casing! Ta da! Hem, your "peplum" and your shorts at this point. I like the twin needle finish on my knits! More on that in this post if you need twin needle sewing help. Okay, now for the neckline... this is where I would have changed things dramatically. I think I would actually make my own neckline binding bias tape and actually do that around my neckline, then add in my bow. 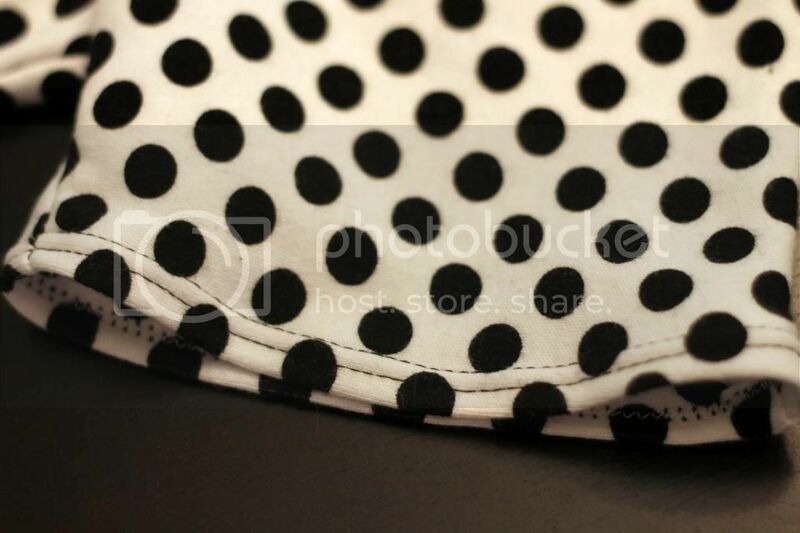 I didn't have enough polka dot fabric to do this and I wish I had!!! It looks so much more professional. I would have used a double needle and sewed that band down. I ended up just folding it over and sewed and I just didn't like how it turned out! I also cut out the back too large, so I had to add a front pleat in the center front to make sure the neck whole was not too large slipping off the shoulders! Cut a small area and just slowly cut it larger after trying it on your child to make sure you get a good fit, or you can always add a front inverted pleat if needed. 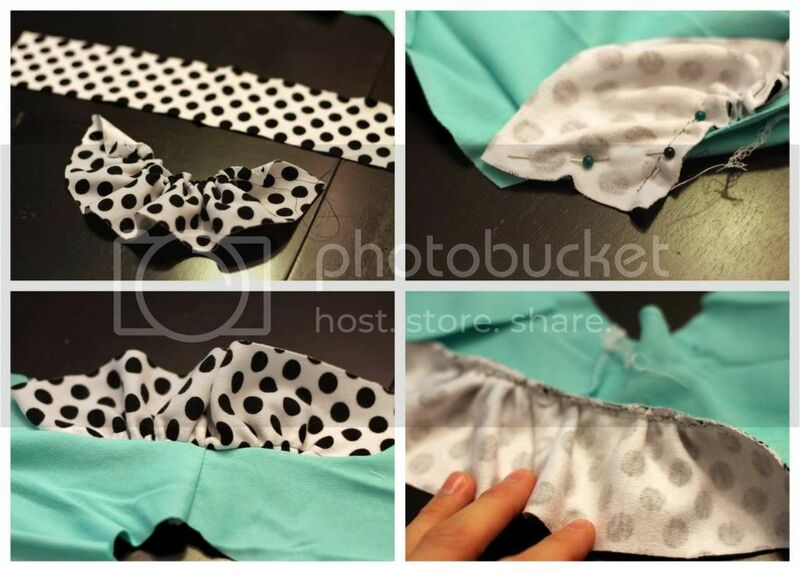 Now, create your bows with your fabric scraps. You need one larger size bow, one smaller bow. 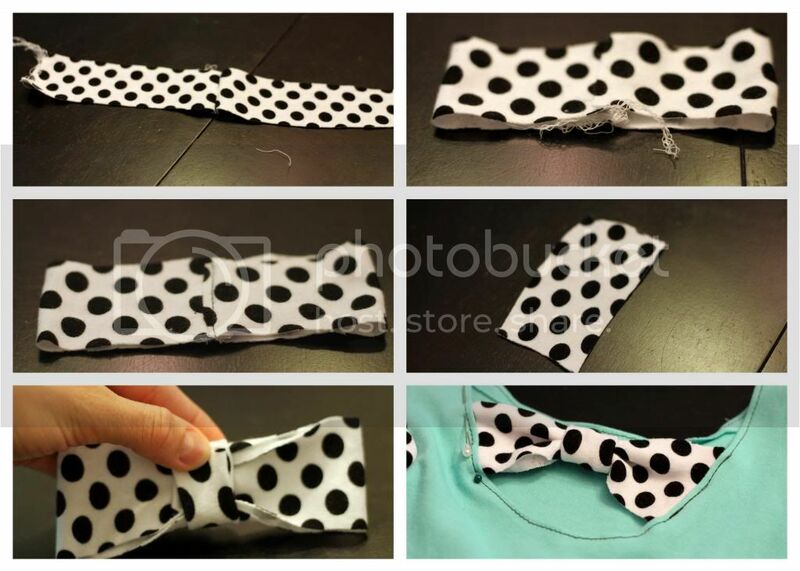 Pin into the back of the shirt, and sew your bow in place. Then, to the front! 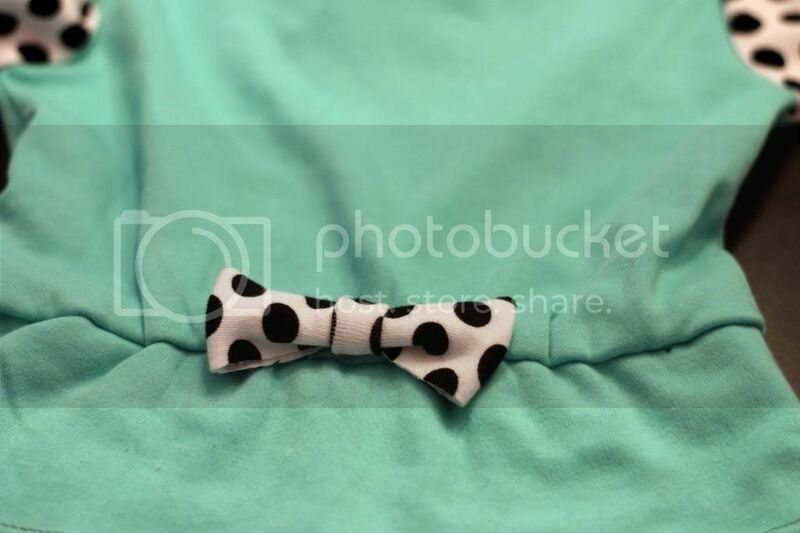 I hand sewed this little bow on the center front at the waist. And there you have it! 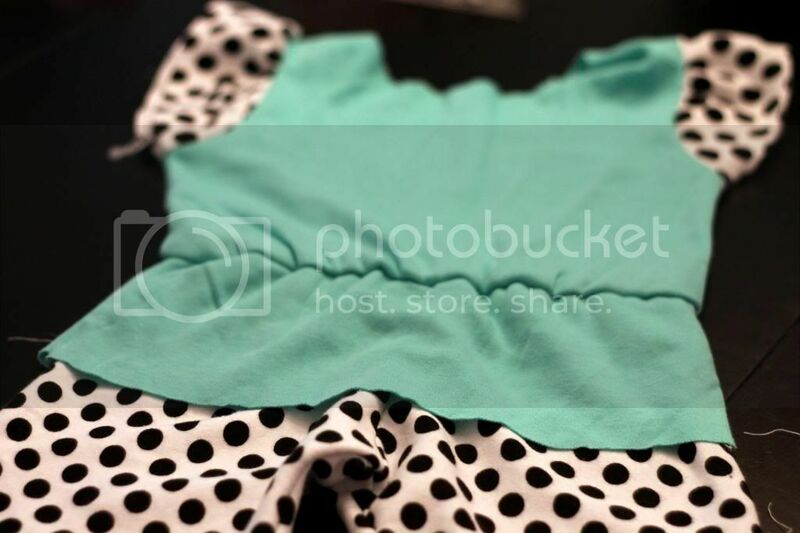 The mint and polka dot together look so retro, doesn't it!? I hope you enjoyed it! Happy Romper Week to all!! !